Have you heard of Mac Spoofing? 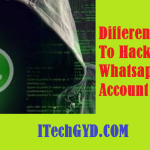 Well, if not that today you are going to read a lot about it since this is one of the best methods with the help of which you can now hack WhatsApp. This is something which is a little bit tricky and alongside hacking, you are going to have some fun while doing it. 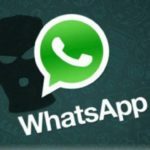 Although there are other ways of hacking into WhatsApp to which you don’t have any access, still, there is no full proof ways of getting into other people’s account so the best option you get here is Mac Spoofing. 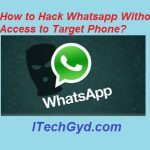 This method will need few things such as the Mac address of the person’s phone you want to hack and if it someone who is nearer to you, it shouldn’t be a problem otherwise, you have got to be tricky. So, let us now begin with our step-by-step guide. Learn How to Hack Whatsapp Conversation. Before you move on to the rest of the guide, you need to look for a way with which you will get the victim’s mac address. Well, in case they are people nearer to you, you could tricks such as asking for their phones to make a phone call. Once they have handed their phone over to you, you have got to be quick while finding the mac address. If you don’t know how to find, listed below are quick steps to tell you whether where you can find the mac address for any phone. Go to the settings of the phone from which you want to get the mac address. Scroll down the settings and you will be able to see ‘About’ in the menu. Open it and there will be all the information such the phone’s mac address and from there you can get it. 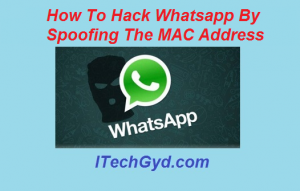 Once you the victim’s mac address you are good to go with the rest of the process for hacking WhatsApp by spoofing the mac address. Listed below are all the steps involved in the procedure. Find your Mac address in the same way you learned above. Now you are going to need a mac address replacing software or a mac spoofing software. With the help of this software, replace your mac address with your victim’s. 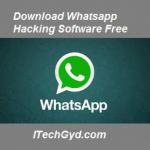 Now you have replaced the address, go to the play store and install WhatsApp on your phone. Enter your victim’s number and do the verification. Since you have his Mac address working on your phone, the verification message will be sent to you. Use the code to verify your account and start using his account. Now you can get all the data which you needed. Once done with getting the data, you can replace the mac address again, delete WhatsApp, and reinstall it again with your number. And, you have successfully achieved what you wanted. I really hope that this was the easiest mac spoofing guide you could find on the internet. So, don’t anymore, apply this, and if it worked just fine for you, let us now in the comments section. Keep visiting our website for more hacks and guides.